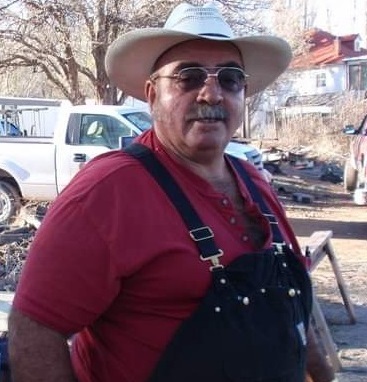 Edwin Mirabal Sr. passed away on February 9, 2019 in Albuquerque, New Mexico. He was born on July 31, 1951 in San Rafael, New Mexico. He was 67 years of age. Mr. Mirabal was formerly employed with Anaconda, Plains Electric, Buckley Powder, and Coast Gas. He served his community as an EMT for Ambco Ambulance and Mt. Taylor Ambulance, and was a member of the San Rafael Volunteer Fire Department. He was a jack of all trades, he was a cattle rancher, he enjoyed making knives, hunting, and cooking. His greatest love was spending time with his family, especially his grandchildren. He was loved and will be deeply missed. He is survived by his wife of 45 years; Evelyn Mirabal of the family home in San Rafael. Four children; Edwin Mirabal Jr. (Rebecca), Santanita Winton (John), Rebecca Abeyta (Richard) and Nabor Mirabal (Jenna). 11 grandchildren; Derikk Mirabal, Alex Barron, Jarred Mirabal, Joe Barron, Wyatte Mirabal, Ryan Beach, Wayne Mirabal, Kevin, Vanessa Mirabal, Natalia Abeyta, and Colton Mirabal. One Great-Grandchild. 6 siblings; Francis Vigil (Tony), Bernadette Martinez, Anthony Mirabal (Glenda), Marie Castillo (Andy), Ruben Mirabal (Donna) and Julieanne Gallegos (Freddie). Along with numerous other relatives. He was preceded in death by one granddaughter; Nicole Mirabal. His parents; Nabor Sr. and Erlinda Mirabal. One sister; Santanita Griego. One brother in law; Isaac Martinez. On Wednesday February 13, 2019 at San Rafael Catholic Church a Memorial Rosary will be recited at 9:30 AM, then at 10:00 AM a Memorial Mass will be celebrated. Inurnment will take place at a later date. Honorary Pallbearers include; Derikk Mirabal, Jarred Mirabal, Wyatte Mirabal, Ryan Beach, Wayne Mirabal, Kevin, Alex Barron, Joe Barron, and Colton Mirabal.